The office was notified this week that additional Grassland offers were accepted after the first ranking period for CRP Grasslands for Signup 201. The rental rate is $5.00 per acre for 15 year contract. Producers who are interested in submitting offers should contact the FSA Office. To submit an offer; the CRP-1 contract must have at least one signature and the CRP-2 must be signed. As with the majority of all FSA programs there is either an application, report or a contract that MUST be signed. It is the producer's responsibility to ensure that the required paperwork has been completed. The FSA Office is encouraging producers who have ONLY 2018 harvested wheat production to apply for the Marketing Facilitation Program. This program is available due to the tariffs that countries have put on commodities. see information below for creating a level 2 account. Producers who have an interest in 2018-harvested wheat production and will have additional production of any fall-harvested commodity are urged to delay applying for MFP until ALL crop production is available to complete the MFP application. MFP can potentially consist of two payment rates. The initial payment rate is effective September 4, 2018 and applies to the first 50% of actual production. The second payment rate (if determined necessary) will be announced December 3, 2018 and will apply to the remaining 50% of actual production. FSA- 578 Report of crop acreage on file. N/A for hogs. NOTE: Late-filed acreage reports can be completed and must be approved by County Committee. Late-filed fees WILL NOT BE WAIVED. Time for fall harvest is approaching and I want to make producers aware that FSA does have low interest loans available for storage. I also want to make producers aware that the FSFL program is available for grain baggers. FSA will loan on the cost of the bagger; but will not loan on the cost of the bags. For more information please contact the FSA Office. FSA's Farm Storage Facility Loan (FSFL) program provides low-interest financing to producers to build or upgrade storage facilities and to purchase portable (new or used) structures, equipment and storage and handling trucks. Loans up to $50,000 can be secured by a promissory note/security agreement Producers do notneed to demonstrate the lack of commercial credit availability to apply. The loans are designed to assist a diverse range of farming operations, including small and mid-sized businesses, new farmers, operations supplying local food and farmers markets, and underserved producers. The 2014 Farm Bill established a maximum dollar amount for each program that can be received annually, directly or indirectly, by each person or legal entity. Payment limitations vary by program for 2014 through 2018. Below is an overview of payment limitations by program. The annual limitation for the Agriculture Risk Coverage (ARC) and Price Loss Coverage (PLC) programs, Loan Deficiency Payments (LDPs) and Market Loan Gains is $125,000 total. The Conservation Reserve Program (CRP) annual rental payment and incentive payment is limited to $50,000. CRP contracts approved before Oct. 1, 2008, may exceed the limitation, subject to payment limitation rules in effect on the date of contract approval. The Emergency Conservation Program (ECP) has an annual limit of $200,000 per disaster event. The Emergency Forest Restoration Program (EFRP) has an annual limit of $500,000 per disaster event. The Emergency Assistance for Livestock, Honeybees and Farm-Raised Fish Program (ELAP) and Livestock Forage Disaster Program (LFP) have a $125,000 per person and legal entity single payment limitation that applies to the total amount of program year payments received. Program payments under the Livestock Indemnity Program (LIP) and Tree Assistance Program (TAP) no longer have payment limits. 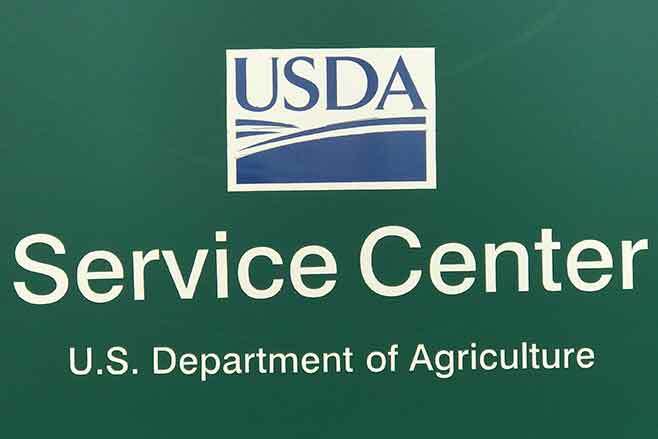 Payment limitations also apply to Natural Resources Conservation Service (NRCS) programs. Contact your local NRCS office more information.